Think casual and cool when planning to entertain millennial groups in Chicago. Have you got a group of millennials to entertain in Chicago? 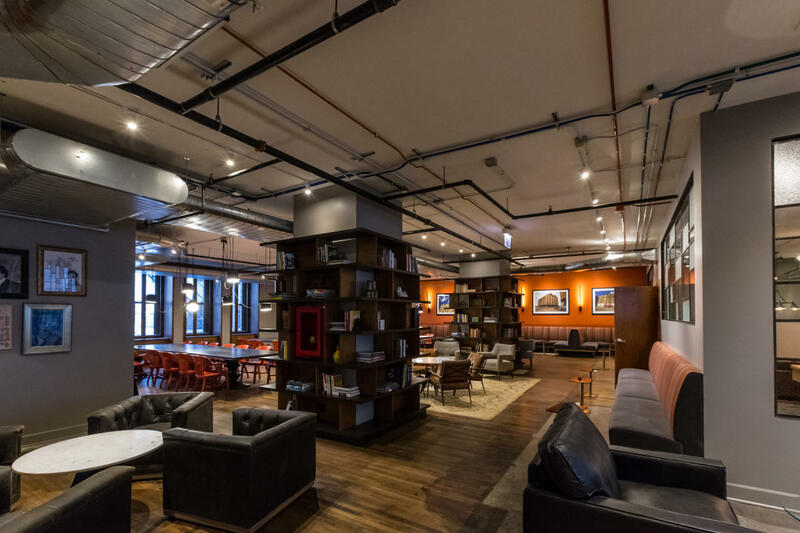 Then you’ll want to book an event space that gives your attendees the opportunity to experience a cool, authentic slice of Chicago in environs that are nothing less than Instagram worthy. Check out these venues that are guaranteed to get millennials talking (and snapping!). Take advantage of Chicago’s beautiful lakefront and plan a beach party! 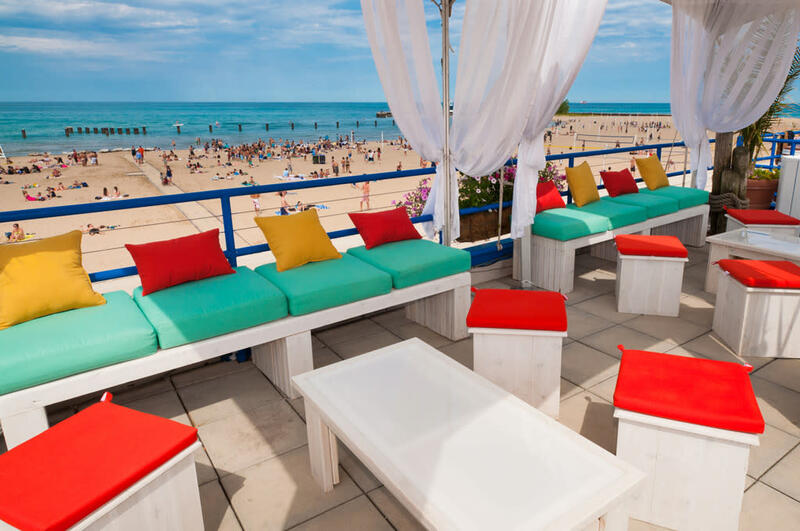 Located right on popular North Avenue Beach in an ocean liner-inspired boathouse, Castaways is the perfect summertime venue, combining Lake Michigan surf and sand with great people watching from a rooftop perch. 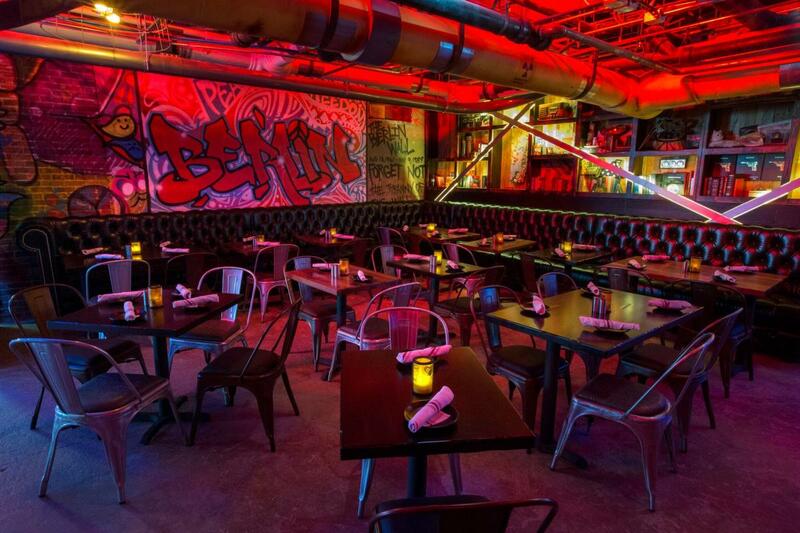 Private parties are available for groups of 50 to 500, and can only be held on weekdays. There is no rental fee, just a food and beverage minimum. Menu themes include Back Yard BBQ and Taste of Chicago, offering Windy City-style pizza and hot dogs. Located in the happening Pilsen neighborhood, Thalia Hall is a one-stop live entertainment, dining and drinking venue housed in a landmark 1892 building that was originally a Czech meeting hall. 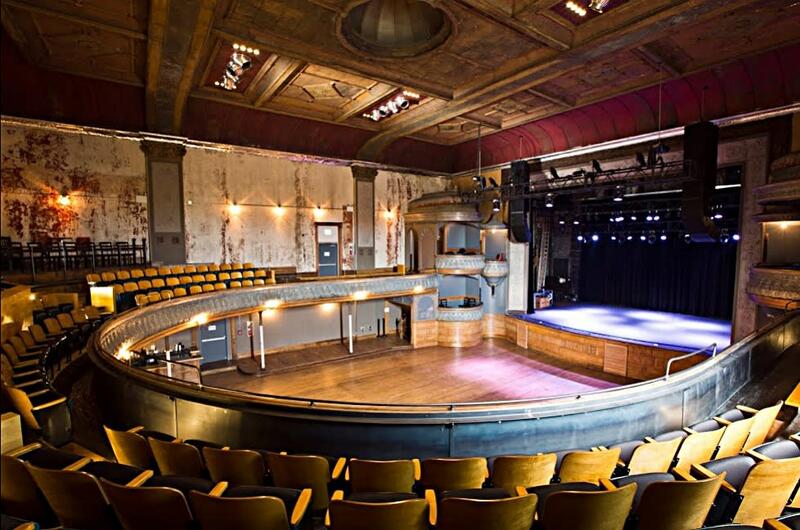 Plan a live music performance or presentation in the renovated Thalia Hall that features state-of-the-art light and sound, yet maintains original features like opera boxes and a wraparound balcony. Thalia Hall can accommodate 800 for a standing cocktail party, or up to 240 for a seated dinner. Or arrange a private dinner at the hip, beer-centric Dusek’s Board & Beer, a Michelin star restaurant. The restaurant can be closed to the public for large groups, seating 90 guests for dinner/150 for a cocktail party. For an evening of casual mingling, the retro Punch House in the basement of Thalia Hall offers spiked punch bowls for sharing, accommodating 100 for a cocktail party/130 when combined with the intimate Beer Cellar private dining space. Smaller groups can opt for the saloon-like Tack Room, seating 45 for dinner/75 for standing cocktails. This all-local dining concept, located in a historic Loop building, brings together some of Chicago’s favorite restaurants serving eats like tacos and Tokyo-style ramen from 15 fast-casual stalls. Located on the ground floor of the Daniel Burnham-designed National building, the marketplace measures a massive 24,000 square feet. Rent the entire food hall for large groups (300-650 guests) or reserve the sixth-floor Lounge for an indoor/outdoor cocktail party (up to 250). For smaller groups, the Travel Agency is a semi-private dining room on the first floor that seats 35 for dinner/45 cocktails. With a fun retro atmosphere that includes games of bowling and billiards, you can count on a lively event at Kings Lincoln Park. Choose from a menu that ranges from finger foods to pizza and burgers to full-on entrees, with a selection of seasonal beers. 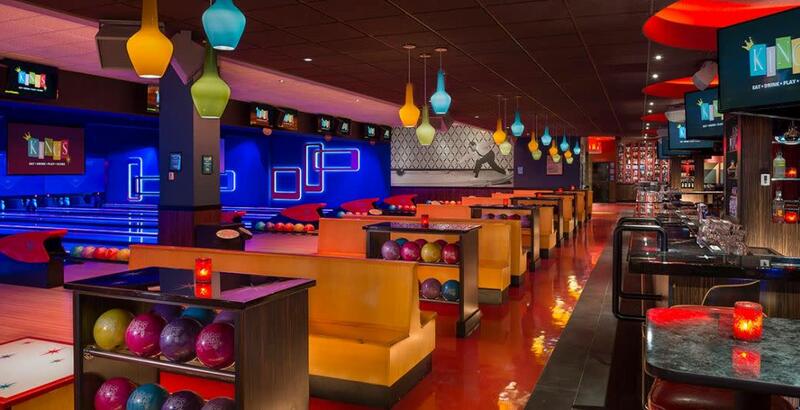 Treat your attendees to their own private bowling lanes by booking the King Pin Room, which features four lanes plus a projector screen for presentations. Or buy out the entire Kings venue for a party of up to 550. Turn your event into a super-secret mission at SafeHouse Chicago, where attendees will work in teams to solve clues and crack codes to free themselves from an elaborate escape room. 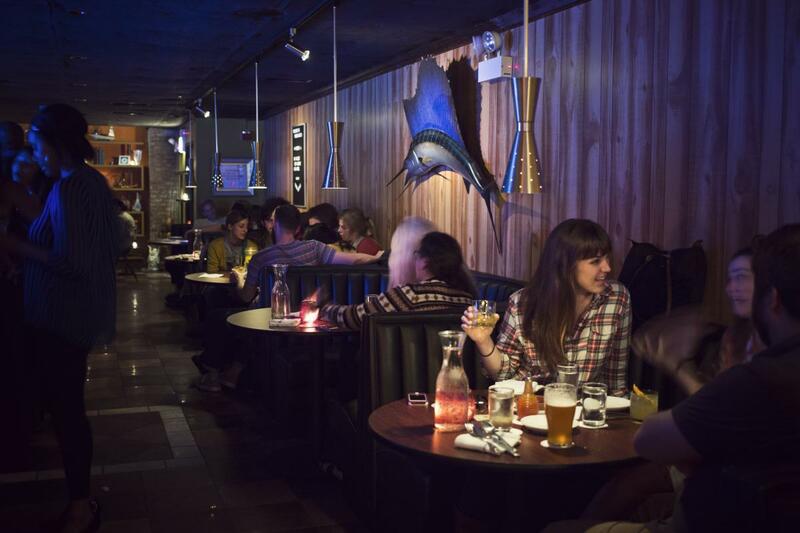 Afterwards, hang out in the funky spy-themed bar area that features real espionage memorabilia (including the flight deck from a WWII spy plane) and a nightly appearance by a magician. Private event space is available for groups of 12 or larger, with required event menus/packages.